Silicon Valley, corporate America and entrepreneurs from around the world gathered in Las Vegas last week to learn lessons on how to be more successful, and as a result it could pave the way for more startups in Southern Nevada in the future. Heather McGough, CEO and co-founder of Lean Startup Co.
More than 500 people attended the three-day conference at the Zappos campus in downtown Las Vegas, and people from 50 countries around the world streamed it online. 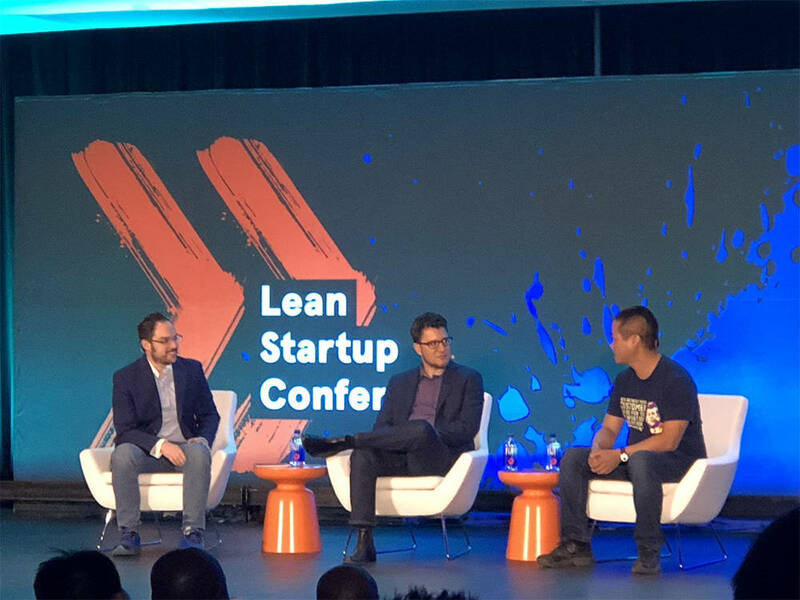 The conference organized by the Lean Startup Co. attracted such speakers as Reid Hoffman, co-founder of LinkedIn and Zappos CEO Tony Hsieh, who suggested Ries hold the conference in Las Vegas. Las Vegas has long been a convention and conference city, but the startup conference “puts Las Vegas on the map” as a center for community learning and engagement, according to one attendee, Brittney Martino, a technology liaison for UNLV who represents the International Gaming Institute. Outside of gaming and hospitality, Las Vegas isn’t known for being innovative or having a robust startup ecosystem, she said. The conference makes visitors more familiar with downtown Las Vegas and with Hsieh’s Downtown Project, which he formed six years ago to spend more than $300 million in tech startups, restaurants/bars and other businesses downtown. “The impact is associating Las Vegas with entrepreneurship, and people more familiar with what Zappos is trying to accomplish,” Martino said. The conference last week came as Google announced plans for a $600-million data center in Henderson. The startup culture in Las Vegas is evolving and starting to spread to more industries beyond gaming, such as AFWERX, Martino said. One of the conference attendees from Las Vegas was George Moncrief, a tech scout for AFWERX who brings entrepreneurs and developers together with decision-makers from the U.S. Air Force to develop new technologies. He’s also a board member for the Rebel Venture Fund to help seed startups. Moncrief said the conference has attracted companies from around the world that might want to work with the Air Force. Las Vegas is still trying to develop its startup community and having the conference downtown opens eyes for the possibilities, Moncrief said. Marcel Schaerer, a deputy director with the Nevada Department of Business and Industry, said the conference helps people based in Las Vegas but introduces those who want to do a startup in Southern Nevada. He’s spoken to people from Brazil, Denmark, Holland, United Arab Emirates and other countries. “They are ready to do business in the U.S., and we can advance the concept of considering Nevada because of the all the incentives we have here,” Schaerer said. In addition, the conference helps spread the message to existing Las Vegas companies, and those looking to start one here with lessons on how to be successful, Moncrief said. The concept of a lean startup places a greater emphasis on going out and talking to customers and co-developing products with them in mind, Moncrief said. That way you end up with products people use and love. 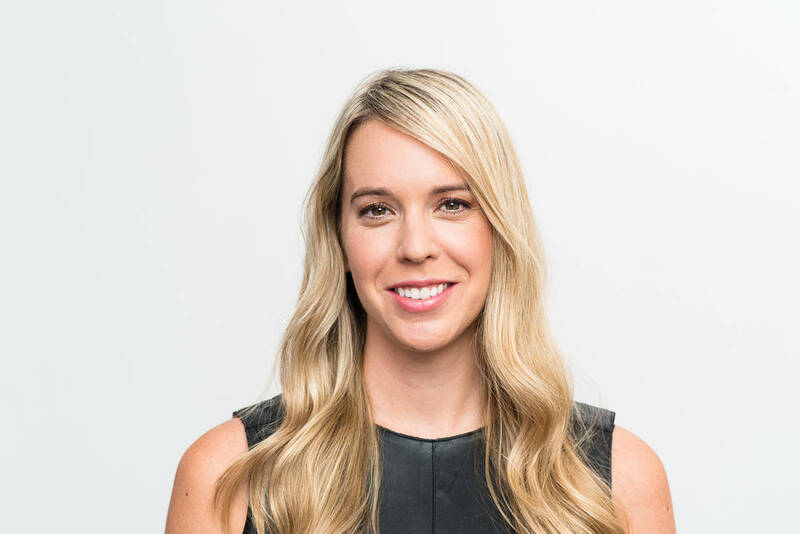 Heather McGough, CEO and co-founder of Lean Startup Co., said her firm and the conference is about transforming the way people think and work in the 21st century by empowering the community with modern management education designed for a fast-moving world. The goal is the world’s biggest problems can be solved by entrepreneurship. McGough said growing up in Northern Indiana, she never thought she would grow up to be an entrepreneur in Silicon Valley. Whatever is done in Silicon Valley can be done elsewhere, she said. As her co-founder, Eric Ries, would say, companies have thrived off of general management practices, and the percentage of accurate forecasts is shrinking, McGough said. Legendry brands are vanishing, and there are smart, young companies coming up and “disrupting the heck out of them,” McGough said. There are many older institutions are realizing they have to change and find new methods whether its financial services companies, hardware, insurance, health care, government, technology, aviation, energy, education and even nonprofits, she said. The conference offers an important lessons to startups that it’s more than just doing a business plan and accessing capital, Schaerer said. It’s about experimentation of products and services and seeing what works. During the conference, Hsieh talked about the early days of Zappos, the online shoe and clothing retailer that started in San Francisco talked about the culture and how he was involved in the final phase of interviewing candidates. The final process wasn’t based on skills but people they felt comfortable enough with that they would be willing to have a drink with them. Today, the company’s culture and values are important in the hiring process, Hsieh said. Hsieh said embracing and drive change is one of the company’s core values, and they try to hire people that desire that. Change is hard, and he said one of the changes they’re going through now is transitioning the company from a typical hierarchy to network. The bigger a company gets the more hierarchical it gets, but they want to allow people to self-organize and allow more dynamic resource allocation than annual budgeting processes. One idea can get killed in a hierarchical structure, he said. “What we’re moving toward is all it takes is one — yet because there are multiple potential funders to kick start to get an idea off the ground,” Hsieh said. Hsieh said if you did a survey of what are the most successful startups today, he would bet most of them are not whatever the original idea was. “Finding a really good idea is not as important as having the right people with the right entrepreneurial mindset or trained in lean startup type of thinking,” Hsieh said. Hsieh said their goal and hypothesis is to allow employees to have the maximum freedom and maximum accountability. If he had to guess, 5 to 10 percent have that natural entrepreneurial intuition. Being an entrepreneur is about practice and learning your craft and not being afraid to fail or make a mistake, Hsieh said. Hsieh told the audience how Zappos relocated from its campus in Henderson because they outgrew their offices by being spread out in several buildings in which some employees didn’t see the others. He talked about taking over the former Las Vegas City Hall as a way to integrate into the community and do events on campus. “Part of it is a feel-good diversity thing, but part of it because research shows most innovation comes from outside your industry,” Hsieh said.